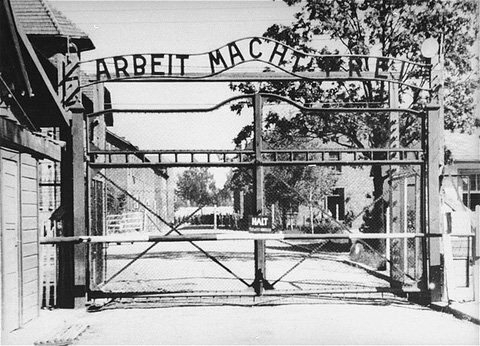 British historian Sir Ian Kershaw famously wrote: “The road to Auschwitz was built by hate, but paved with indifference,” a sentiment that provides much rationale for solid Holocaust education today. However, despite its clear importance, Holocaust education is not always the norm in schools. In 2007, a controversy erupted over Britain dropping required subjects such as the Holocaust and the Crusades from History curriculums due to fear of Muslim discontent. But the study citing Muslim opposition was debunked—only a small number of teachers at two schools involved in the study reported incidents—and the British have rebounded since the incident. 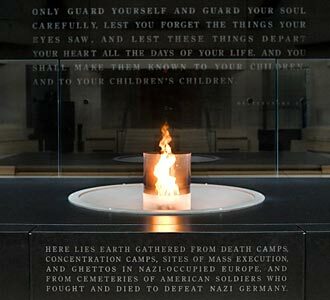 Not all countries require Holocaust education as part of the curriculum. In the United States, the states, not the federal government, determine what is taught in public schools. According to a 2004 Holocaust Task Force report, while most states have created social studies standards for the classroom and about half the states have explicitly mentioned the Holocaust in these standards, only ten percent of states have a legislative mandate to teach the Holocaust in the classroom. Though there have been some improvements, including Virginia calling for teacher manuals on the Holocaust and Maryland establishing “a Task Force to Implement Holocaust, Genocide, Human Rights, and Tolerance Education in the state,” few states have updated their legislation since the report was issued. Even if imperfect, in the West, education on the Holocaust, genocide in places like Rwanda and Darfur, and other worrisome situations evolving around the world, has been largely admirable. Not so in the Middle East.